Borough of Poole: Darryl Howells has secured planning permission to erect a large two-storey side and rear extension to a home in Recreation Road, Poole. 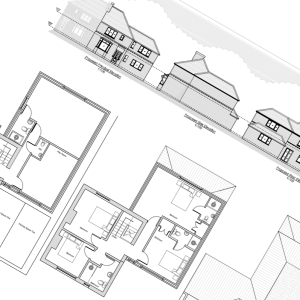 The plans, drawn by Design & Development Associates, illustrated an extension that will increase the size of the house by 120% but the external design of the extension remains subservient to the existing dwelling. The planning history of the site prior to the involvement of Pure Town Planning was complex and blighted with refusals and Planning Inspectors’ decision dismissing housing schemes. Using our experience Pure Town Planning were able to fully justify the proposed development in policy terms and guide the application through the planning process to its determination under delegated powers without any delay. If you have ambitious plans for your house then why not call Pure Town Planning on 01202 585524 or email info@puretownplanning.co.uk for a FREE 30 minute consultation on how we can help you.